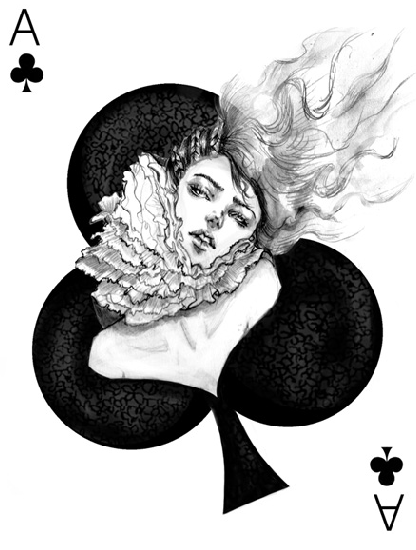 I came across these fashion playing cards by Connie Lim recently and thought these two perfectly describe how most of us feel when the December 31st revelry turns into a January 1st hangover. 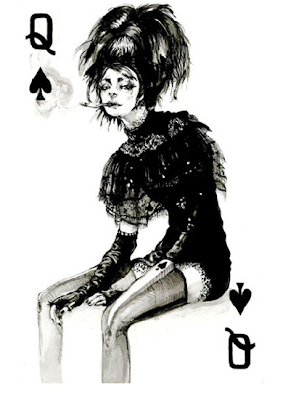 I hope you all had a magical New Year's Eve and aren't feeling too much like the Queen of Spades today! 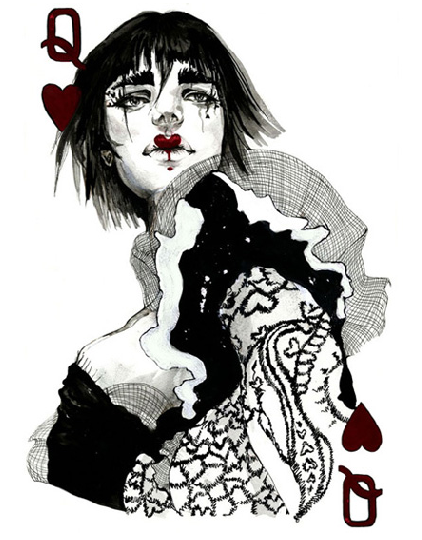 Click through to see more of Connie's amazing cards, and purchase them here. As lovely as Connie's 14 cards are as works of art, I do wish there was a full set of 52 playing cards. 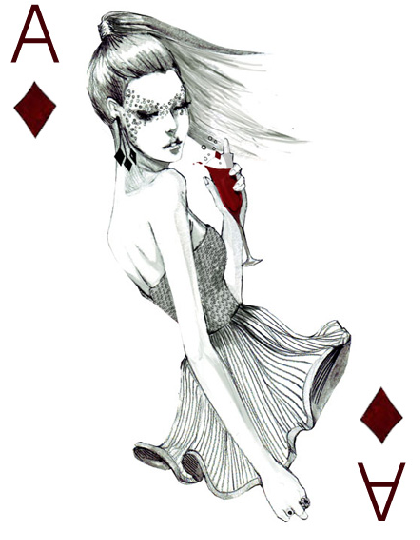 A game of gin rummy would be so much more glamorous! These are amazing! Here's hoping she'll continue to a complete deck. This would make playing poker more interesting to me. Wow, I totally love these! They are so different, first of all. 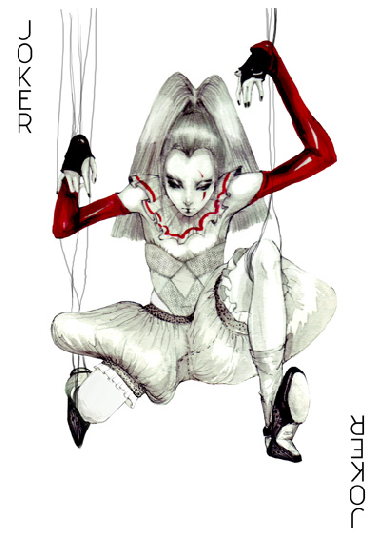 Secondly, the illustrations are pretty and haunting at the same time. 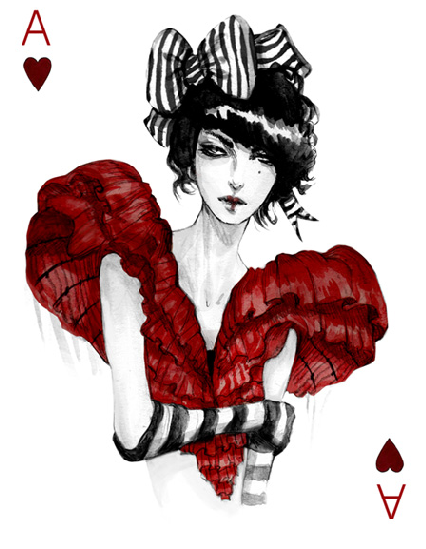 And you're so right about the Ace and Queen, I'm glad I didn't wake up a Queen of Spades this morning! Happy New Year's Marissa! I am THANKFULLY not feeling like the Queen of Spades today! But I do love your blog and I'm following. Have a wonderful new year Marissa! Hope 2011 is full of beautiful moments, creativity, and pretty things for you and your amazing blog! 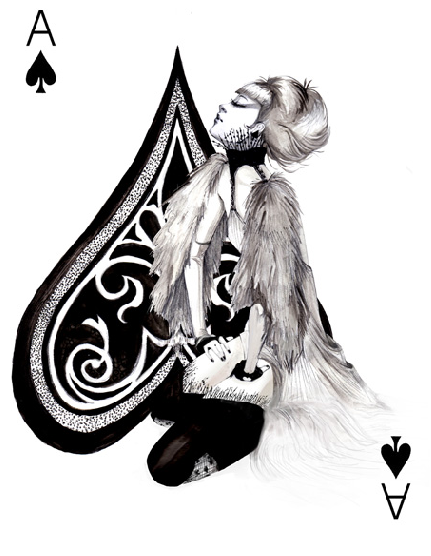 I'm feeling pretty good today, more like the queen of diamonds I'd say. oh hello! these are brilliant...love that cig hanging out of her mouth. ahahaha! I never get drunk on new years eve ehehe loved those pictures! amazing! 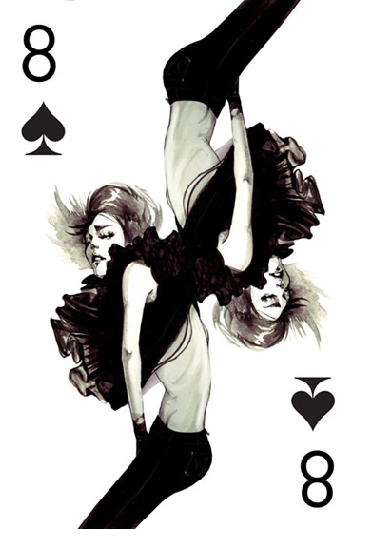 the full deck would make a fab gift and then so fun to play with!